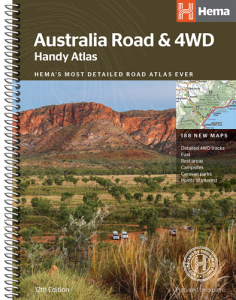 Hema have just announced the new 12th edition of their bestselling Australia Road & 4WD Atlases. Due for release on the 1st of December, the entire series has been revamped and updated. They will feature Hema’s new and much clearer easy to read cartography and nearly 20% more mapping. There’s also more detailed mapping for popular travel regions throughout the nation, think Cape York, Fraser Island, the Top End and the Kimberley and such. 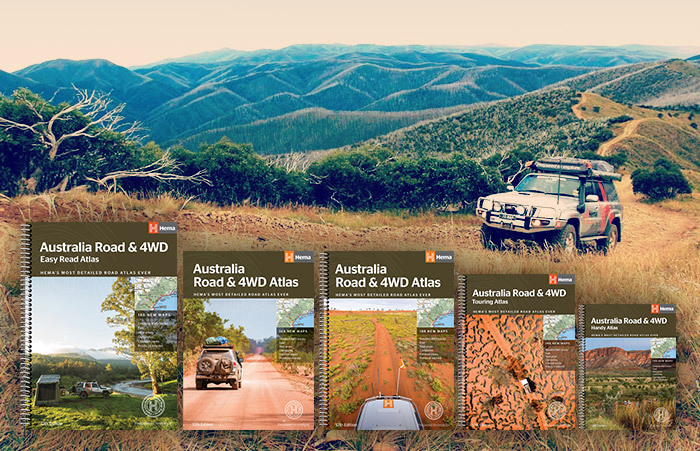 All five versions of the Australia Road & 4WD Atlas are now available for pre-order. 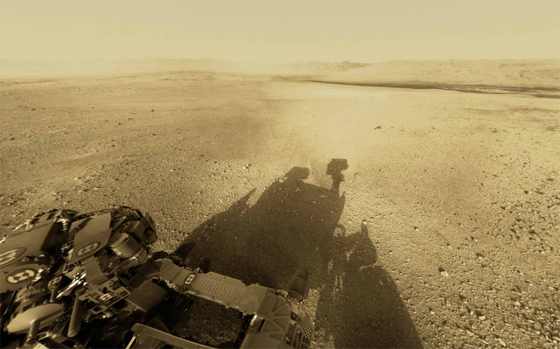 This is the biggest version at 292 x 397mm. This is perfect if you’re after the biggest, clearest images and text. 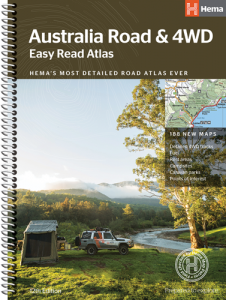 Read more and pre-order the Hema Australia Easy Read Road & 4WD Atlas here. This is the standard B4-ish version (254 x 345mm). 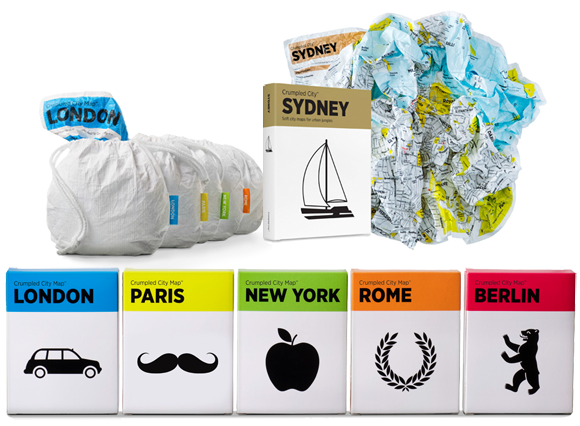 This size is easily the bestseller and is the version that all the others are now based on. Read more and pre-order the Hema Australia Road & 4WD Atlas here. This is the same size as the above, but perfect bound rather than spiral bound. People can argue endlessly on the virtues of one or the other. You’re either in one camp or the other and you already know which one! 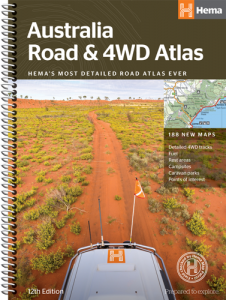 Read more and pre-order the Hema Australia Road & 4WD Atlas (Perfect Bound) here. This one is roughly A4 size (220 x 297mm) and spiral bound. A more compact edition that’s more likely to fit in your glovebox. 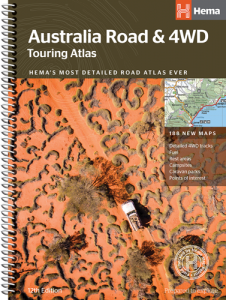 Read more and pre-order the Hema Australia Road & 4WD Touring Atlas here. This is the smallest version at 190 x 248mm. This is perfect if space is at a premium for you.